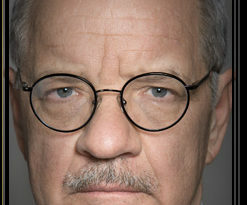 With both his critically-acclaimed new film, First Reformed, and an updated edition of his seminal film theory text, Transcendental Style in Film, Paul Schrader is experiencing a career-defining moment. 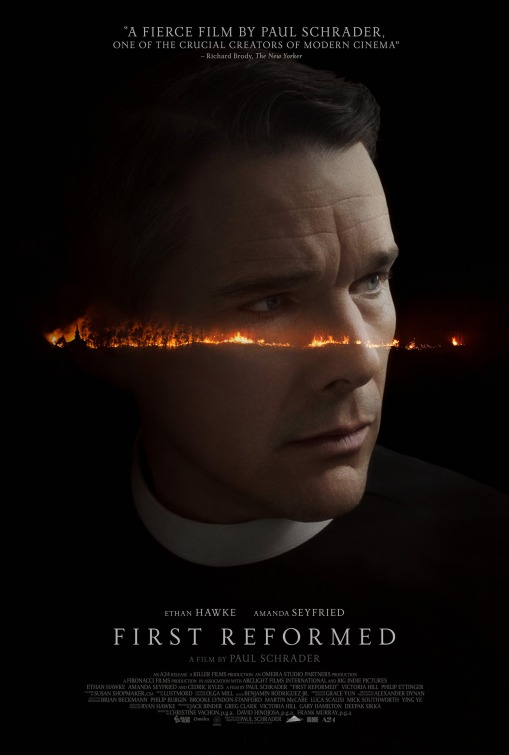 Today Paul Schrader and Ethan Hawke discussed the intellectual and spiritual underpinnings of First Reformed on Fresh Air. Tune in below—the interview will also be broadcast again this evening at 7 pm. Not coincidentally, as Schrader turned his attention to making a spiritual film (something he had vowed he would never do), he also decided to revisit the influential book he wrote in 1972. With a substantial new introduction: Rethinking Transcendental Style, Schrader reconsiders slow cinema as a movement, the techniques that define the form, and contemporary directors who embody the field now. 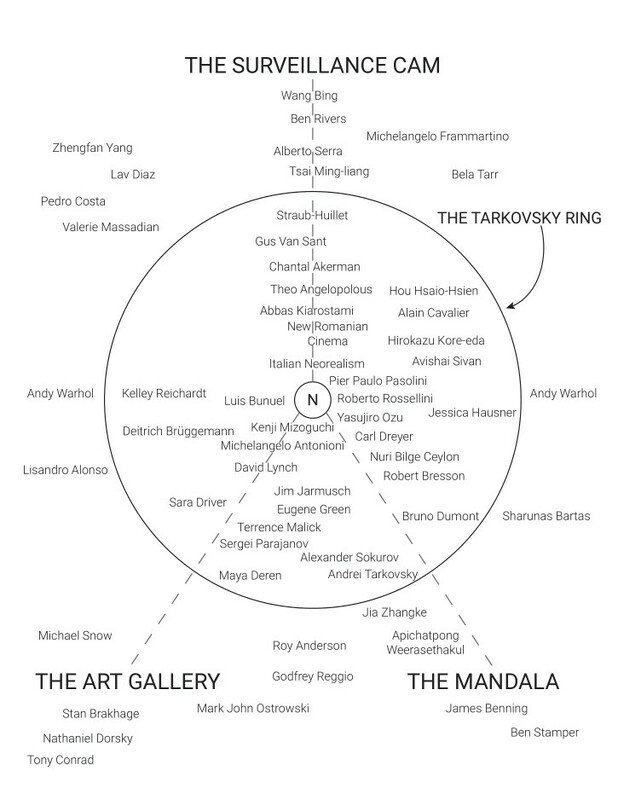 Diagram excerpted from Transcendental Style in Film: Ozu, Bresson, Dreyer by Paul Schrader. Read an accompanying story on Indiewire. Through reconceptualizing the themes of his work, Schrader has circled back around…his latest film is a return to his strengths as a writer, screenwriter, and director. 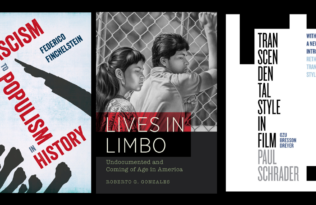 Hear Schrader’s further discussions of the intersections of spirituality, cinema, and time in a recent lecture series at Fuller Seminary. Save 30% on Transcendental Style in Film—enter discount code 17W1863 at checkout. 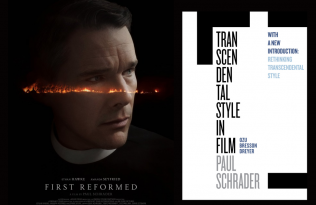 Transcendental Style in Film Revisited: With a New Introduction by Paul Schrader NY Times Critics Pick Paul Schrader’s ‘First Reformed’ in Best Movies of 2018 Best of the Blog 2017 Where Are We In This Picture?